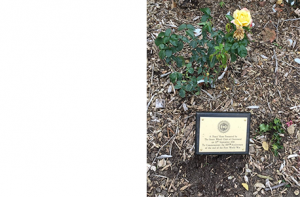 On the 21st September, representatives from the Inner Wheel of Gravesend, planted a peace rose in the rose garden at the front of the school to mark the centenary of the end of World War I. The Head Boy and Head Girl read poems at the ceremony, which was attended by staff including Mr Carey and Mr Lillie, and our chaplain, Rev. Trudi Oliver, who led the prayers.